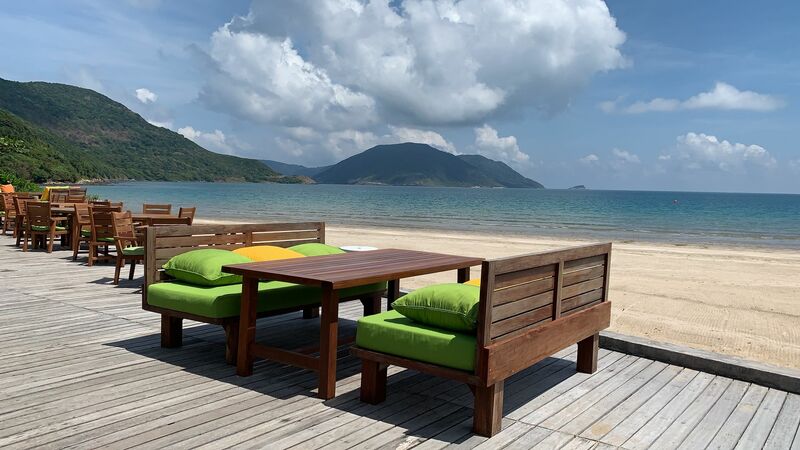 Located in Con Dao, a group of islands on the Southern Coast of Vietnam , Six Senses Con Dao offers an ideal tropical getaway destination in a country not necessarily known for it’s islands or beaches. 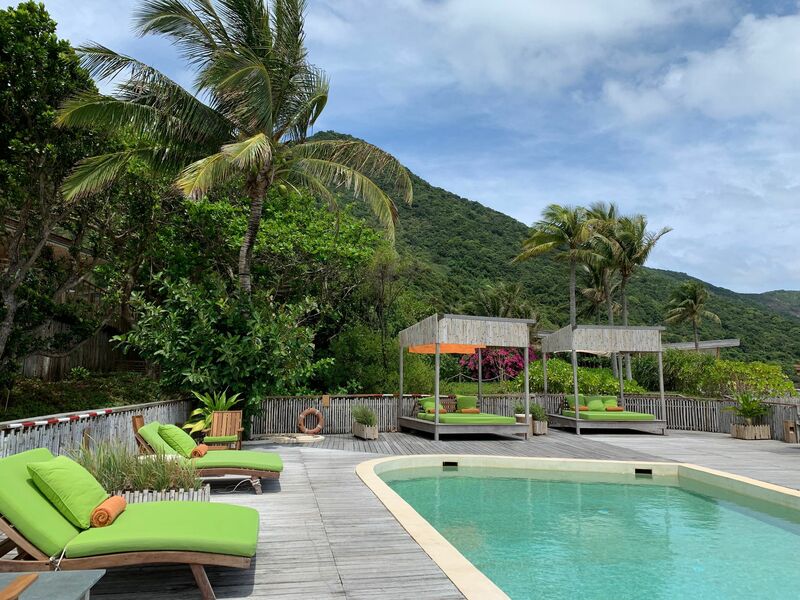 A location that like most Six Senses properties is serene and remote and requires effort to get to, and one that if it weren’t for Six Senses having a property there, I would had regrettably most likely never discovered. We flew from Dubai straight to Ho Chi Minh City where we decided to spend the night so we can take the earliest flight to Con Dao. 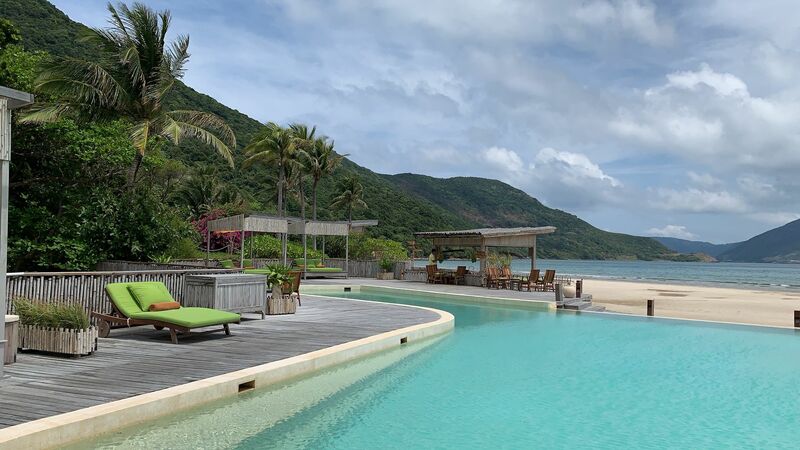 Once we arrived to Con Dao, we drove about an hour straight to the property. 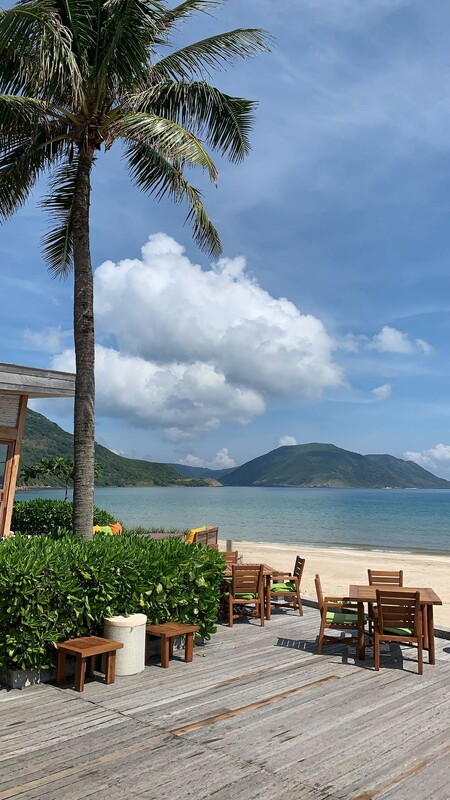 Though I always book my own airfare and coordinate all of my trips, the Six Senses team was incredibly helpful and assisted with not only the bookings of our domestic flights but also our visa to Vietnam- yes be ware that American Citizens need visa to Vietnam and it is advised to apply before hand. 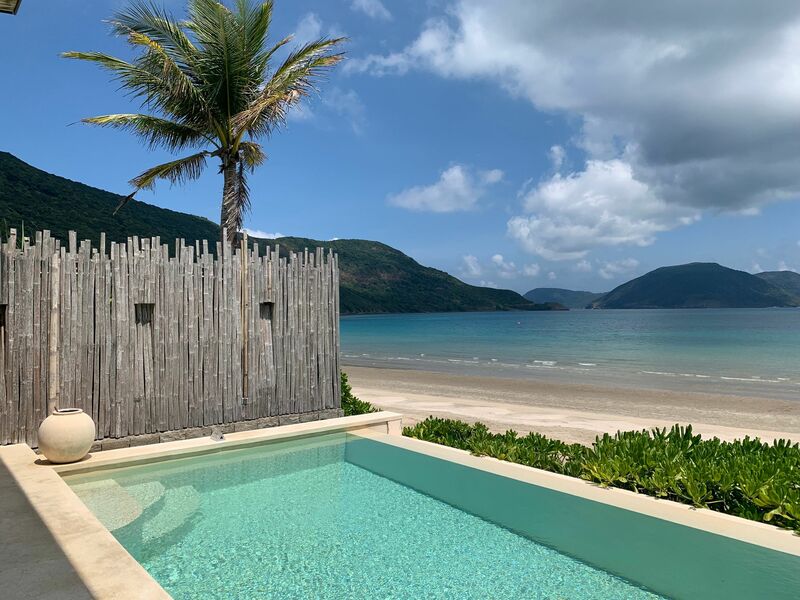 Though harmoniously blending into it’s natural surroundings, the villas at Six Senses Con Dao are one of the most modern villa designs that we have seen at a Six Senses property. 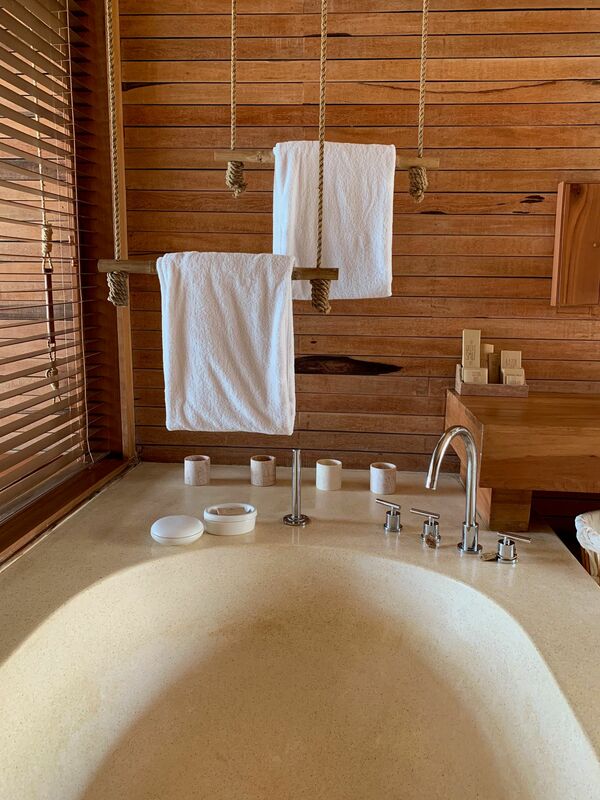 We loved the modern twist while still being true to it’s extraordinary sustainable philosophies. 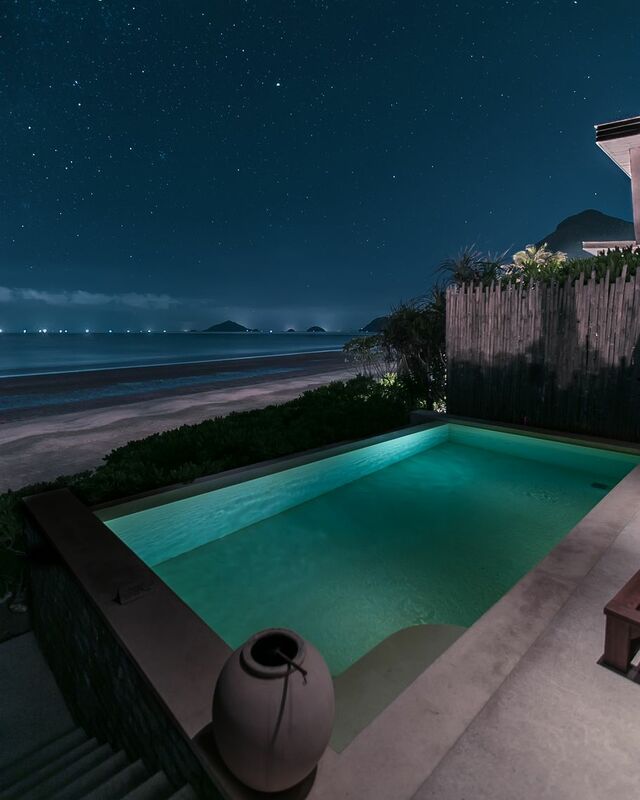 Our villa that we were welcomed into was a gorgeous Ocean Front Deluxe Pool Villa. 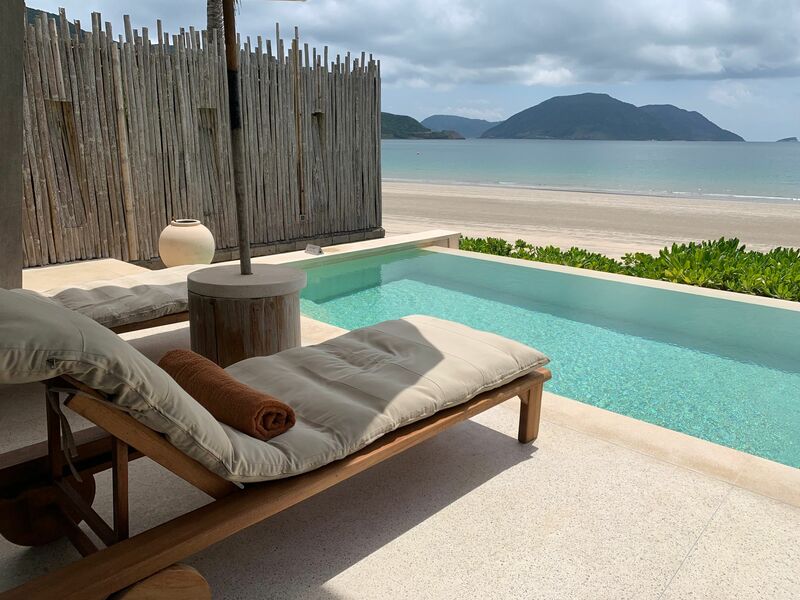 At over 1,600 square feet right on the beach this villa is very spacious with a beautiful modern yet typical Six Senses design. 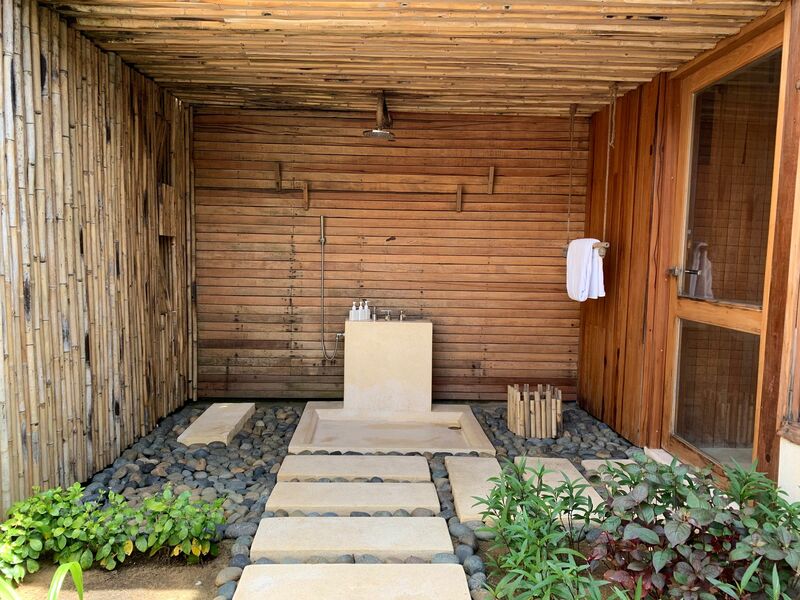 I particularly loved the open design and concept with the beautiful beach view and the gorgeous bathroom with the signature outdoor shower. 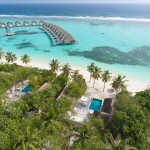 On of the best amenities is the location itself – a wide, calm, peaceful and beautiful beach. 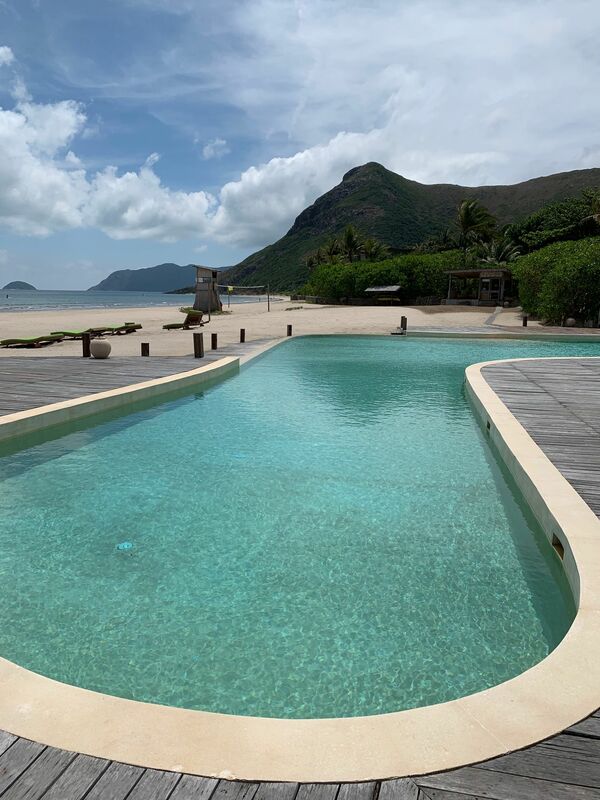 For this reason we found Six Senses Con Dao to be the perfect property to just relax and completely unwind rather than one for adventure and an active holiday. 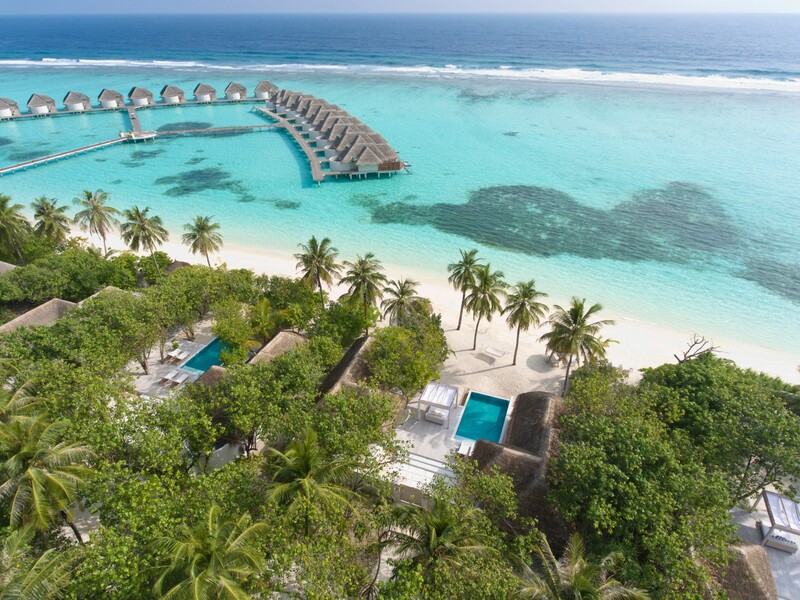 On the beach, you have all of the villas , the gym & spa, and the By the Beach restaurant. On the main level which is right above the beach, you have a common area where most of the amenities are such as the reception, small kids area, ice cream room (complementary for the guests), bar and library area with terrace to relax, as well as the Vietnamese restaurant which unfortunately we did not have the opportunity to try (since I was eagerly ready to have the same vegan linguini every day! haha). 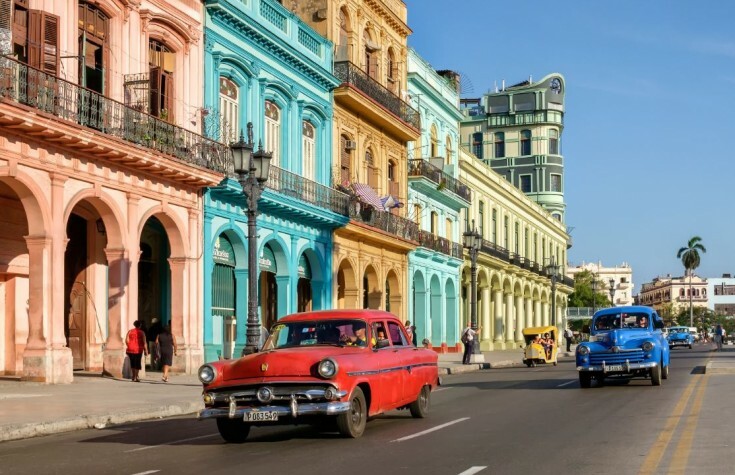 We did; however, have the chance to experience a lovely couples massage in the beautiful spa. 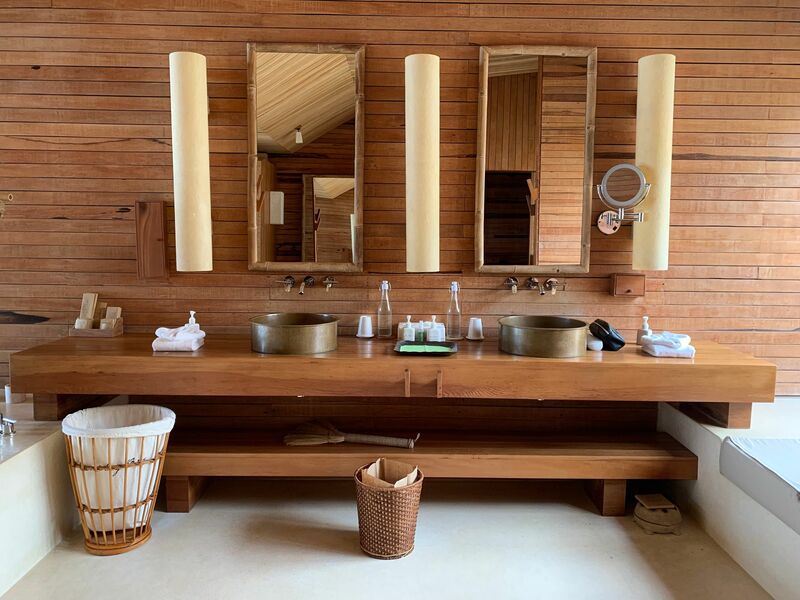 As always, Six Senses spas never disappoint – they are always guaranteed to have excellent service and masseuses. 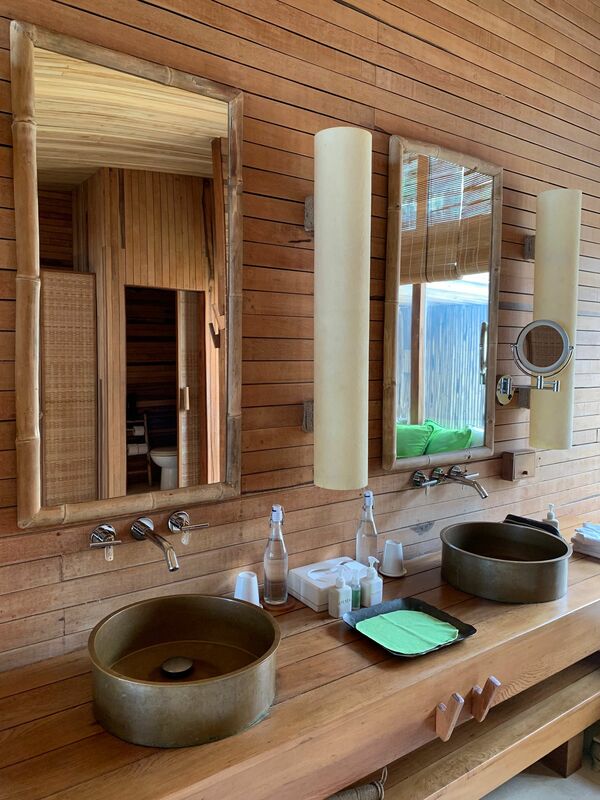 In the spa, you can also sign up for a complementary yoga class in the morning or join for different activities. 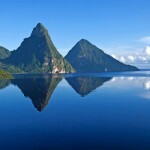 -Providing swimming lessons to he inhabitants of Con Son Island as drowning is one of the leading causes of death in children. 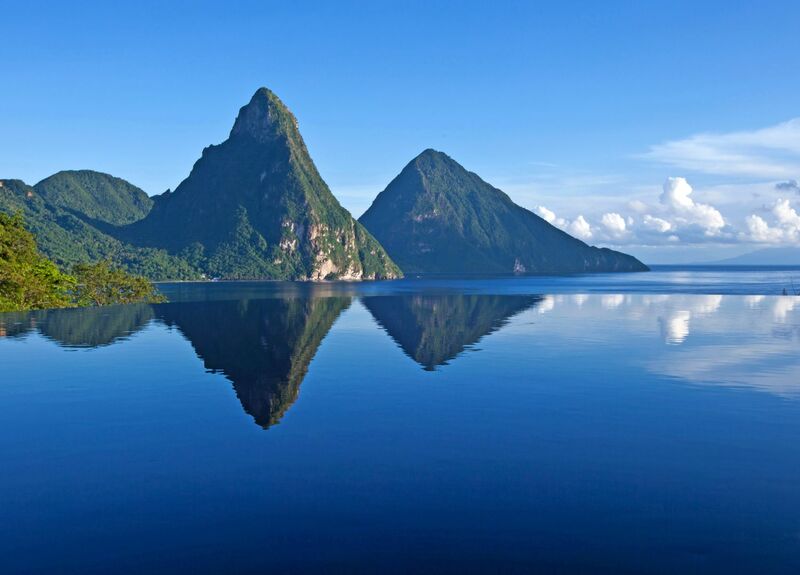 -Donate 50% of the sales of water on their restaurant By the Beach to a local school to supply clean water. 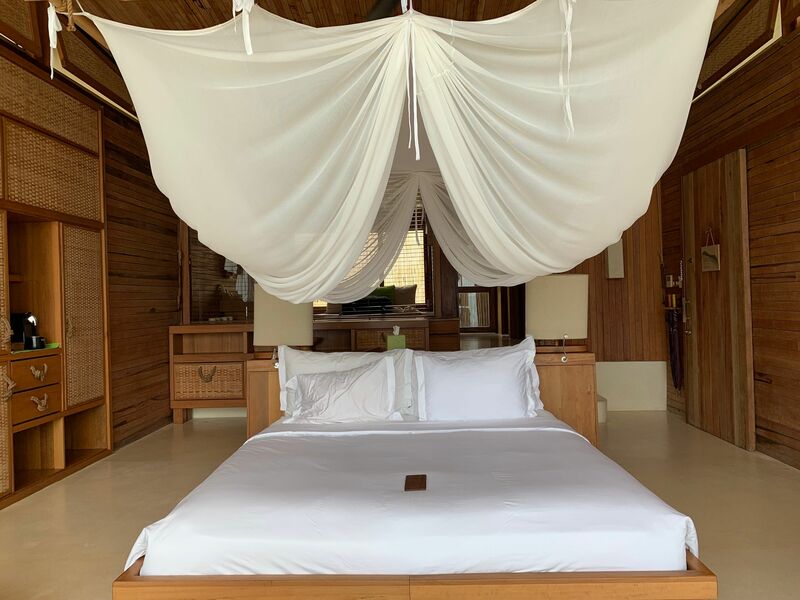 -Implementing the protection and care of critically endangered sea turtles through the “A Home for the Green Sea Turtles” program where the property assists through every step of the way to make sure the eggs hatch successfully and safely. Guests are also welcome and encouraged to participate so they can too participate in assist and this amazing program. 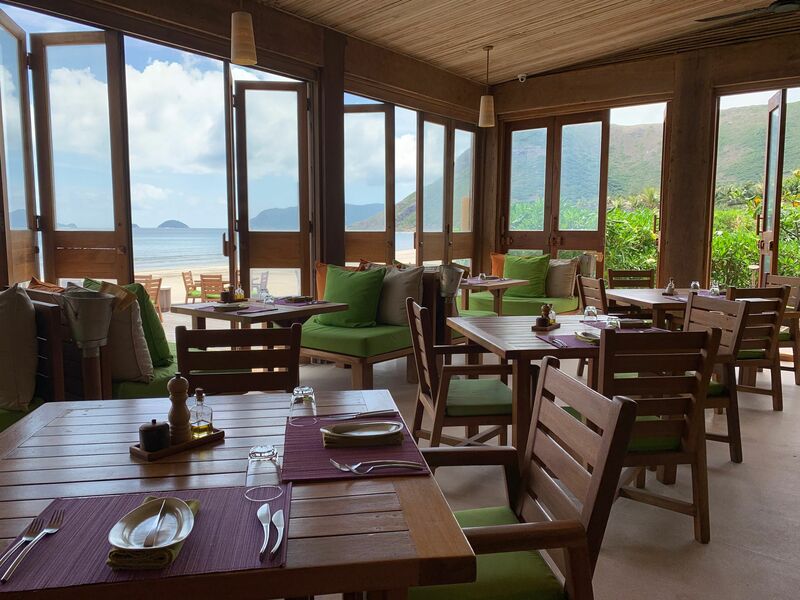 Though the property only has two main dinning options, trust me when I say you will not be disappointed by the quality , taste or variety of the food. 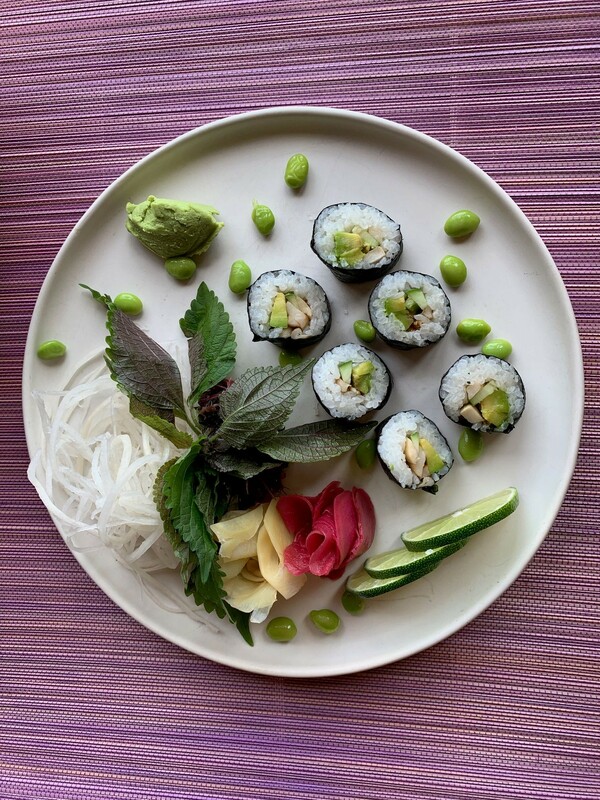 My husband and I both were completely blown away by the food, every meal was arguably better than the last and that says a lot coming from us who follow a plant based diet. 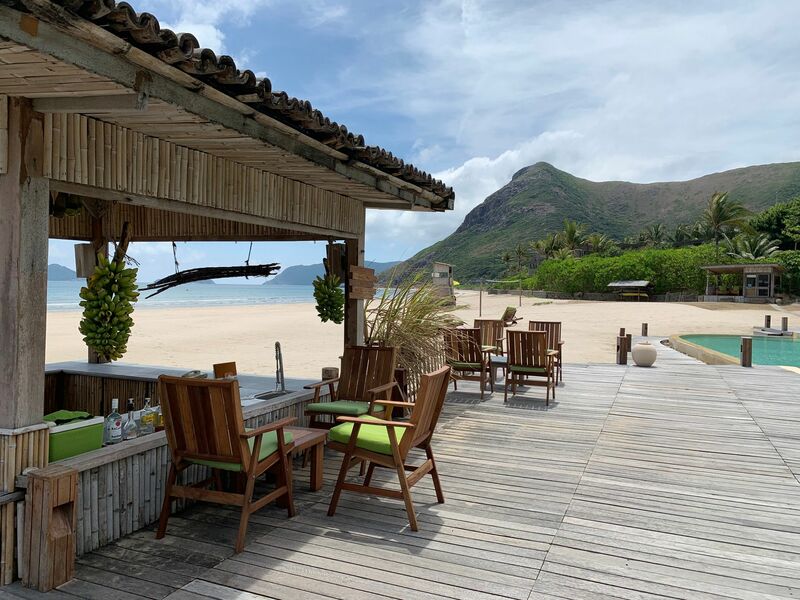 Typically veggie options get less love and attention but at Six Senses Con Dao on their By the Beach restaurant not only did they have great options for us already on the menu but they had a dedicated , extensive and very creative menu full of mouth watering vegan options. They even had homemade cashew vegan cheese and cashew cheesecake! That was definitely a first for us! 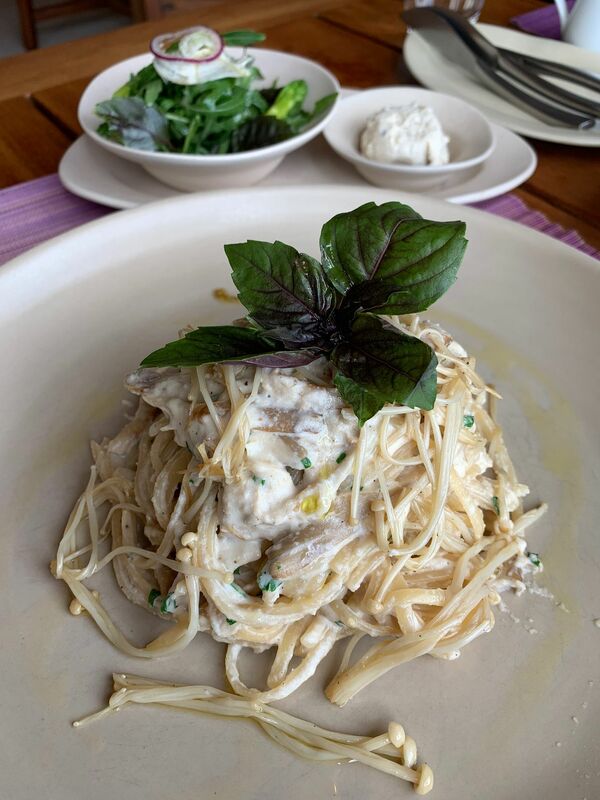 I had the Wild Mushroom Linguini every day for lunch and almost shed a tear when I had to take the last bite before heading to the airport – it was that good! 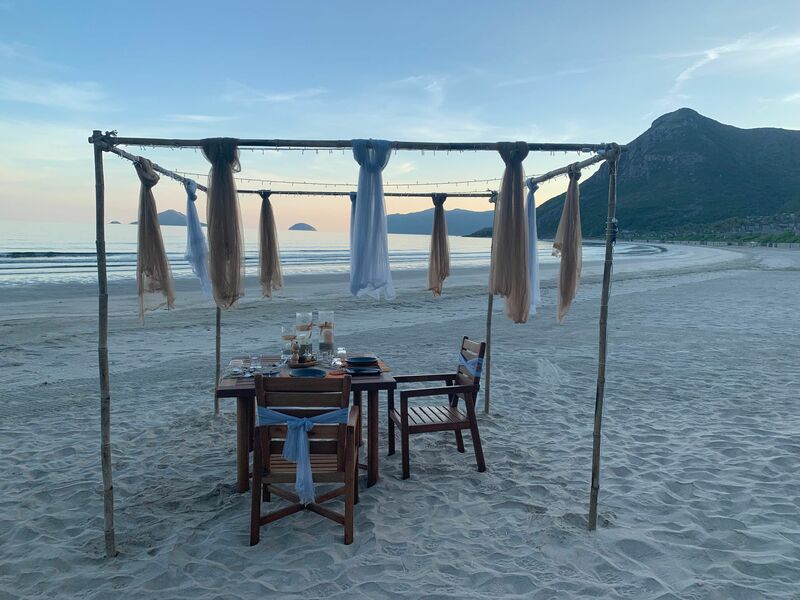 On our last night we were treated with a romantic dinner on the beach right at sunset. The chef prepared a custom multiple course vegan dinner that was also outstanding, everything from the appetizer to the dessert was phenomenal. 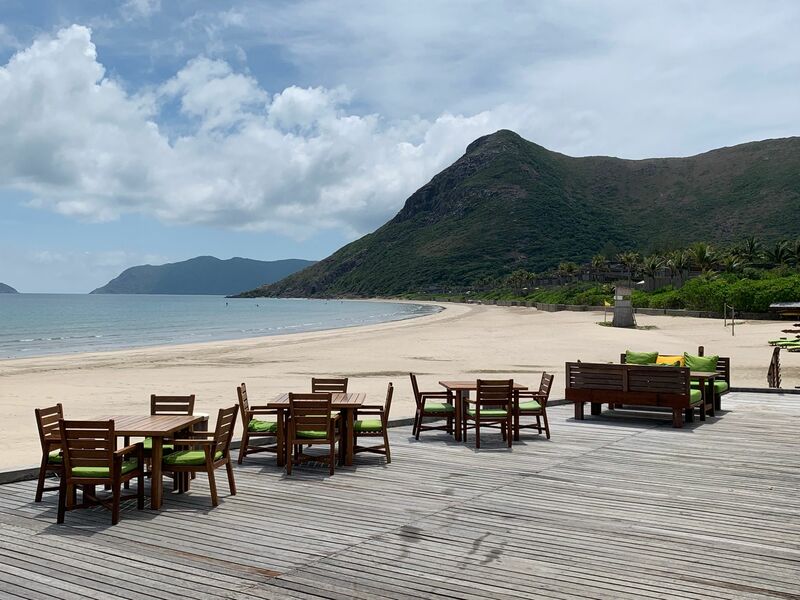 Disclaimer: Though this post is in partnership with Six Senses Con Dao , as always, all opinions are my own.